A curated showcase of over 30 artists and collectives reveals the ‘here and now’ of the unique culture of South East region of Aboriginal Australia. This October Carriageworks presents South East | Aboriginal Arts Market curated by Hetti Perkins and Jonathan Jones to showcase the cultural heritage of South-Eastern Aboriginal Australia. The artists presenting works at South East come from regional and coastal New South Wales, from ACT to southern Victoria and the Murray Darling basin catchment area to Tasmania. This October Carriageworks presents South East | Aboriginal Arts Market curated by Hetti Perkins and Jonathan Jones to showcase the cultural heritage of South-Eastern Aboriginal Australia. The artists presenting works at South East come from regional and coastal New South Wales, from ACT to southern Victoria and the Murray Darling basin catchment area to Tasmania. SOUTH EAST is a curated arts market featuring over 30 stalls, including a mix of established and emerging creative collectives and independent artists. 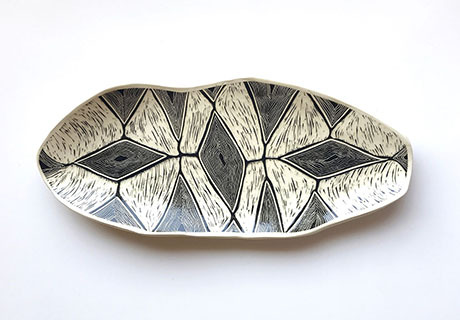 Showcasing traditional and contemporary practices including weaving, literature, ceramics, carving, photography, painting, shellwork and textiles, South East offers a unique opportunity to ‘meet the makers’ and experience the unique creativity of contemporary Aboriginal art from this region. South East will be presented in Gadigal country at Carriageworks on Saturday 6 and Sunday 7 October, where visitors can engage directly with local artists, acquire original art works, and learn about the traditional and contemporary cultural expressions of Aboriginal Australia. Curators Hetti Perkins and Jonathan Jones note that ‘South East celebrates the creative diversity of South-East Australian Aboriginal art, revealing the ‘here and now’ of a region rich in traditional and contemporary artistic expressions. Hosted by Carriageworks, South East shines a spotlight on South-Eastern Aboriginal art and culture that has a unique presence within Australian art.’ The market will showcase artists and collectives that have been selected by the curators. The full list of artists is below, and bios are available upon request. Carriageworks Director Lisa Havilah said, ‘Curated by Hetti Perkins and Jonathan Jones, and coordinated by Carriageworks’ Indigenous Programs Producer Emily Johnson, South East is a unique opportunity for the community to meet Aboriginal artists from across South-East Aboriginal Australia and directly support their practice through purchasing work. We are thrilled to be presenting this free two-day event which aims to build the profile of Aboriginal artists from across the region.’ BresicWhitney is a Major Partner of Carriageworks and the Presenting Partner of South East. This project is also supported by City of Sydney.